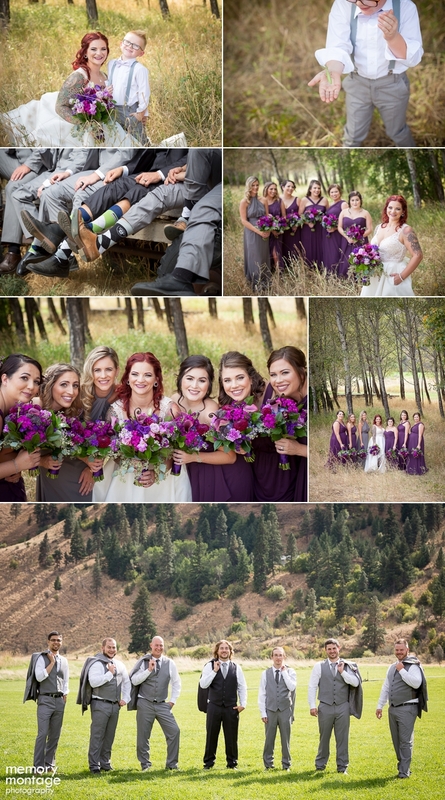 Rhiann and Haley photographed this stunning wedding on September 9th at The Hackett Ranch in Yakima. 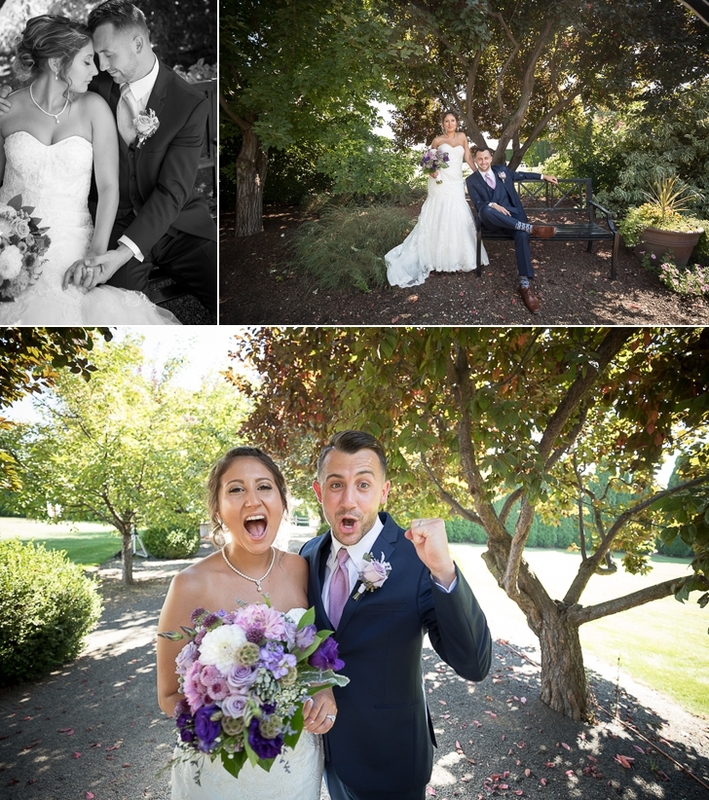 High school sweethearts, Maddie and Kevin, were dating for eight years before this monumental day. Seeing how the two interact with one another was heartwarming. Take a glance at this beautiful day! 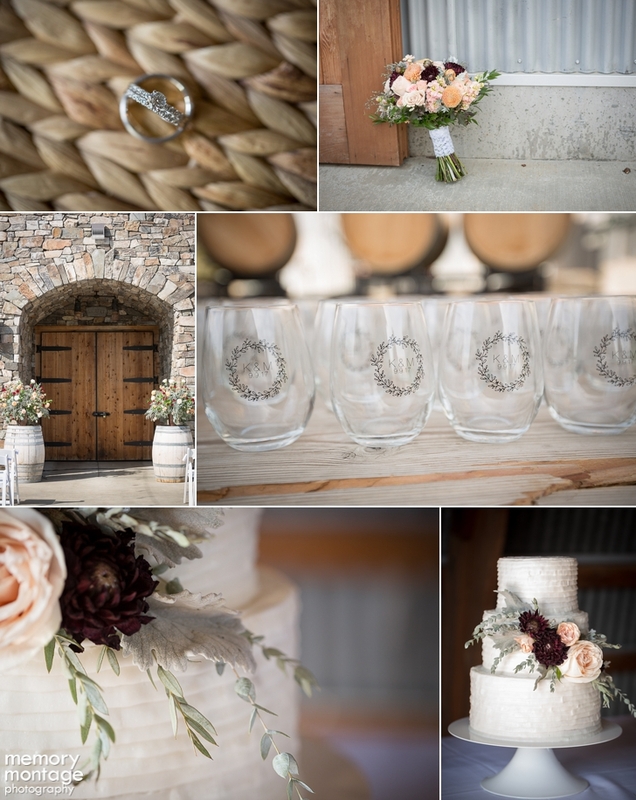 First off, let's discuss the stunning floral arrangements. 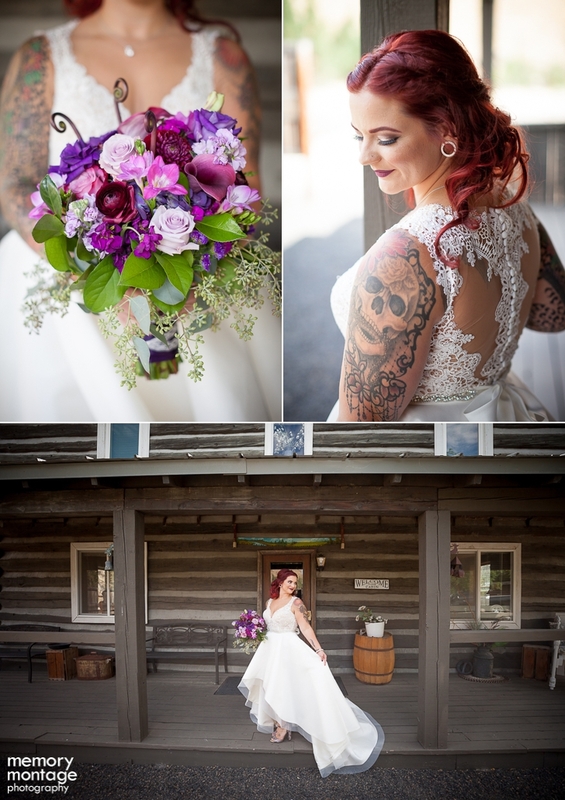 Lori Osborn with Blooming Elegance crafted an elegant, yet vibrant bouquet for this Bride. Loved it! 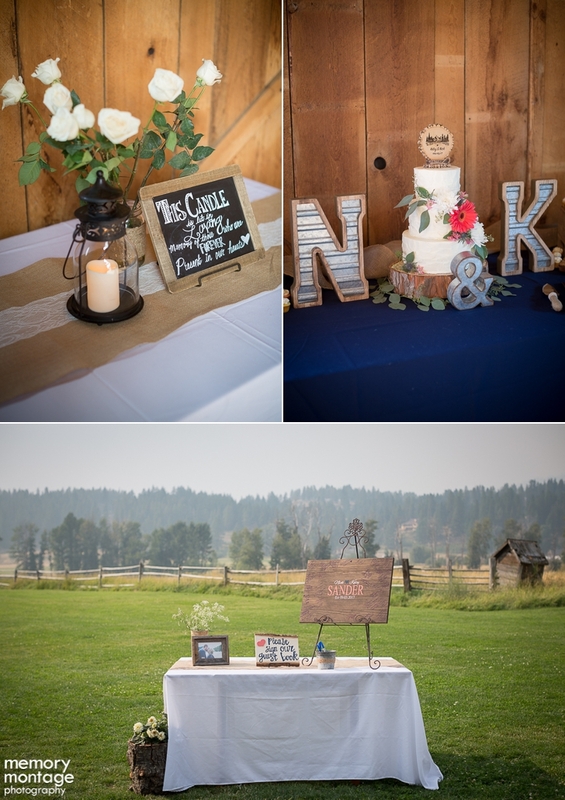 Alena Kissel from Cake Kiss prepared a gorgeous cake! 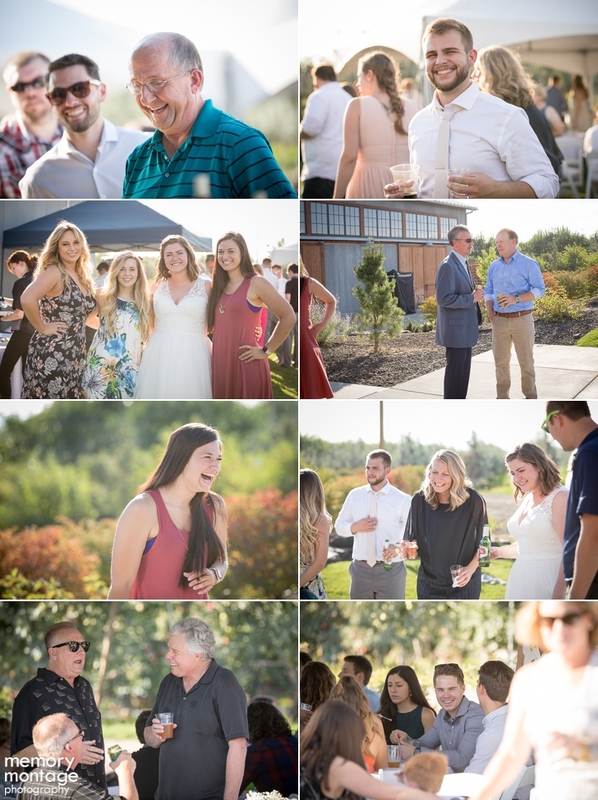 Catering Creations by Toni not only catered the event, but also coordinated it! What an awesome duo. 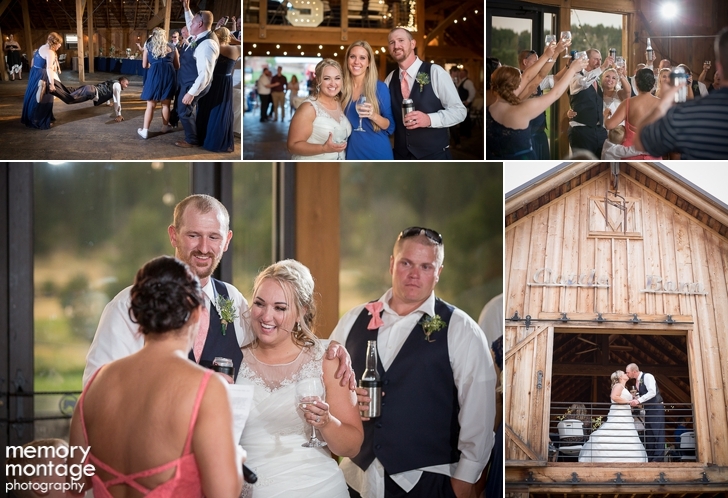 The food was spectacular and the day went smoothly, so I would say she executed both jobs excellently! 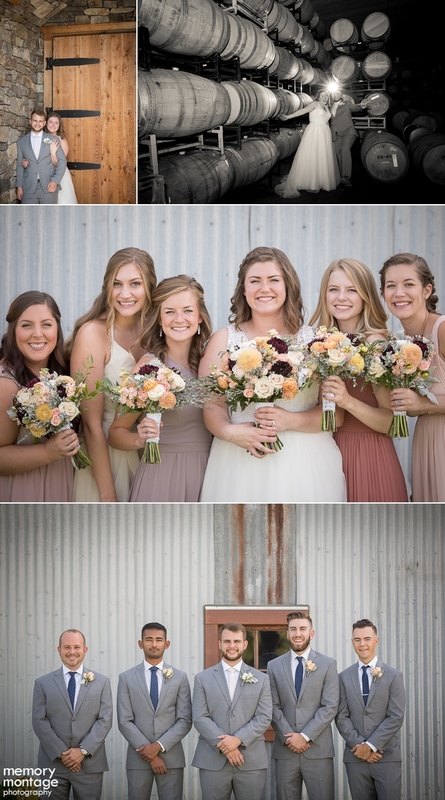 Sammy and Abby, her sisters, Cassidy, her cousin, and her best friend, Ashley all were beautiful bridesmaids! 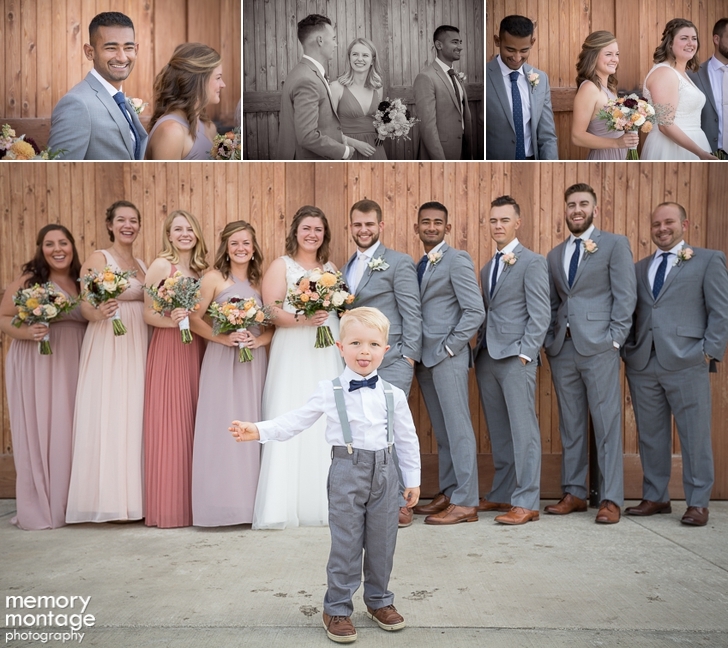 Gagan, his friend, Taylor, his cousin, Kameron, his friend, and Joel, his brother, all rocked it as the groomsmen! 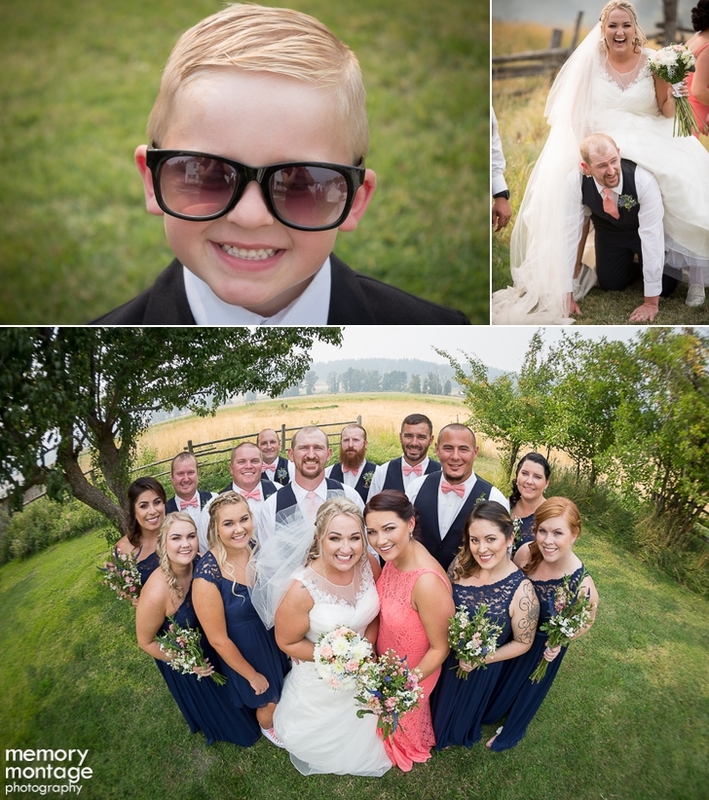 Kevin's 3 1/2 year old cousin, Nathan was the cutest little ring bearer! 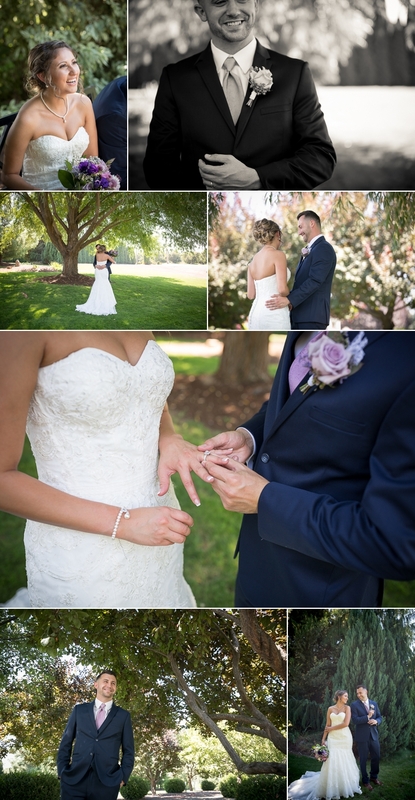 Maddie looked ravishing in her gown from Romashka Bridal. 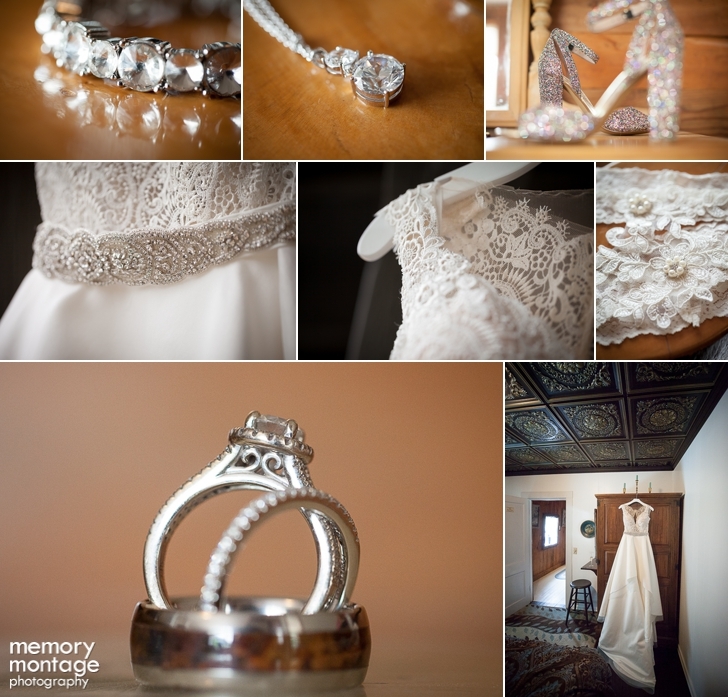 One of the best parts about wedding days is seeing the Bride's dress! So pretty! 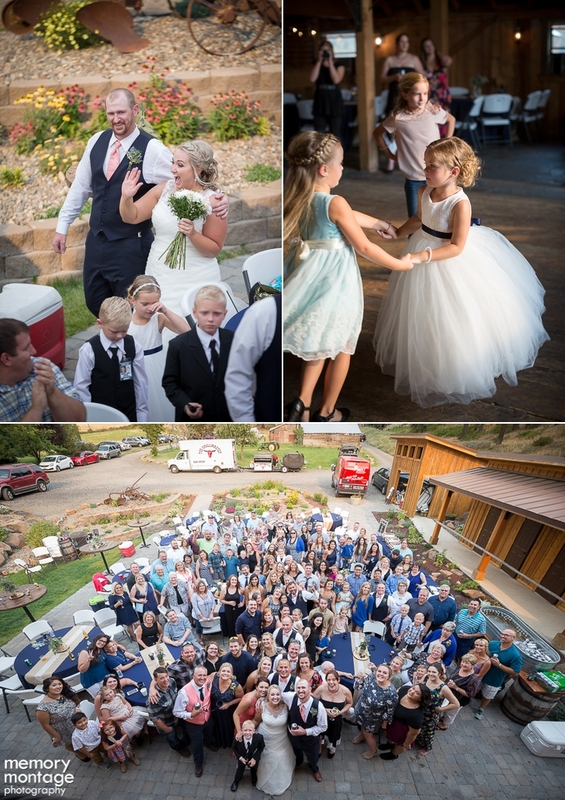 She danced the night away with her family, friends, and husband thanks to Sight and Sound Services. 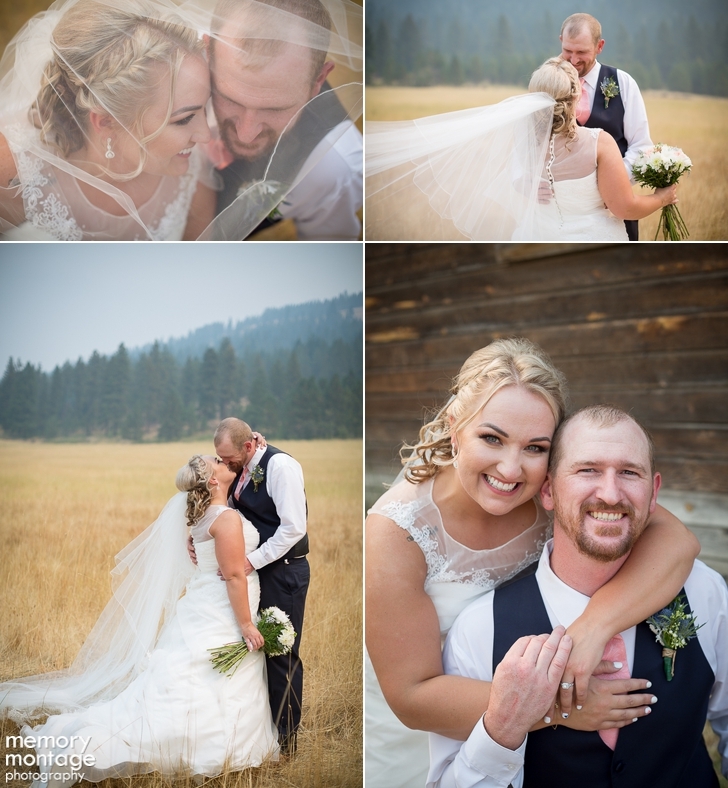 We loved capturing this couple's love for one another! 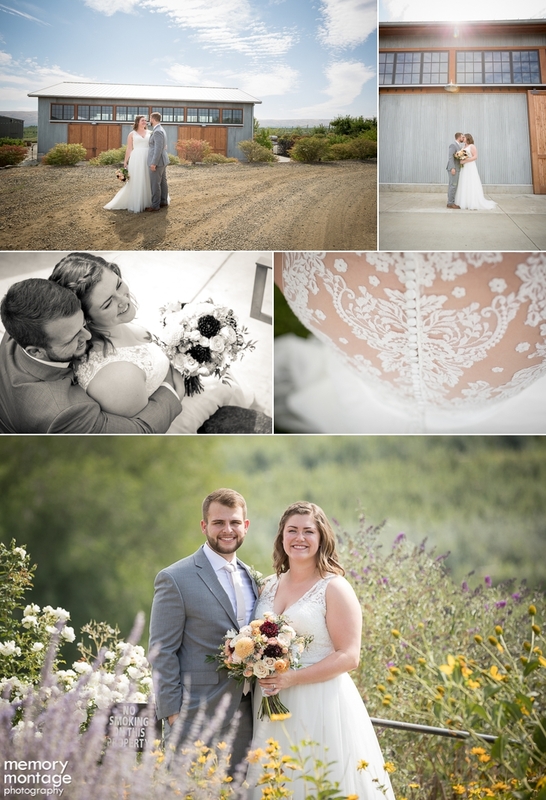 Congratulations Mr. and Mrs. Schwartz! 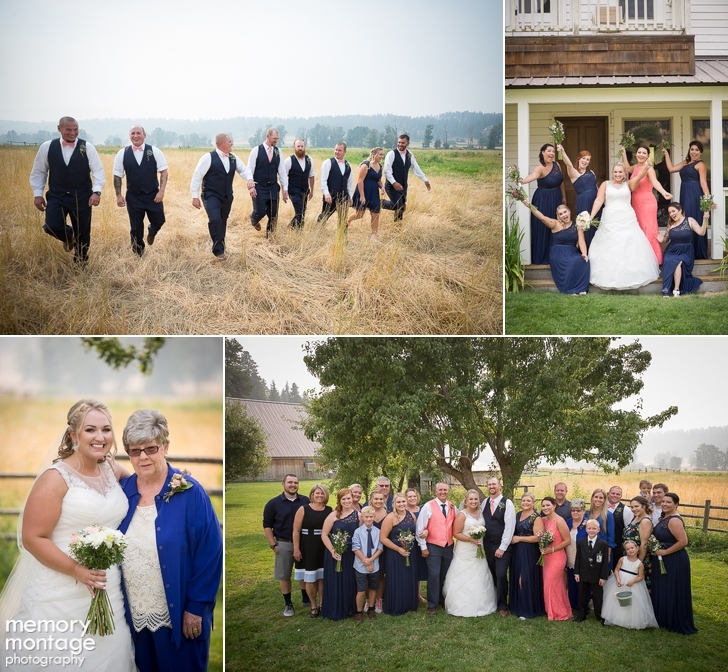 Tavis and I photographed this wedding on September 9th at American Homestead in Naches. 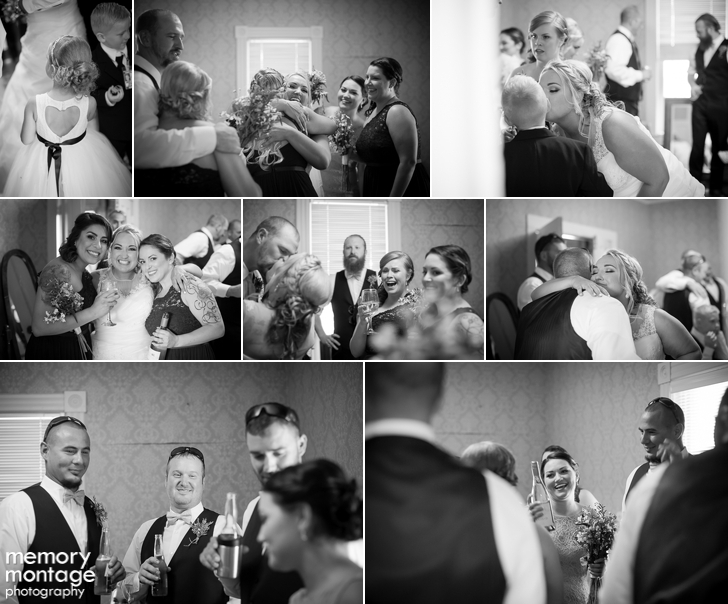 The Bride and Groom were so refreshing to be around! Paige is a natural extension of Royal and Royal is a natural extension of Paige. 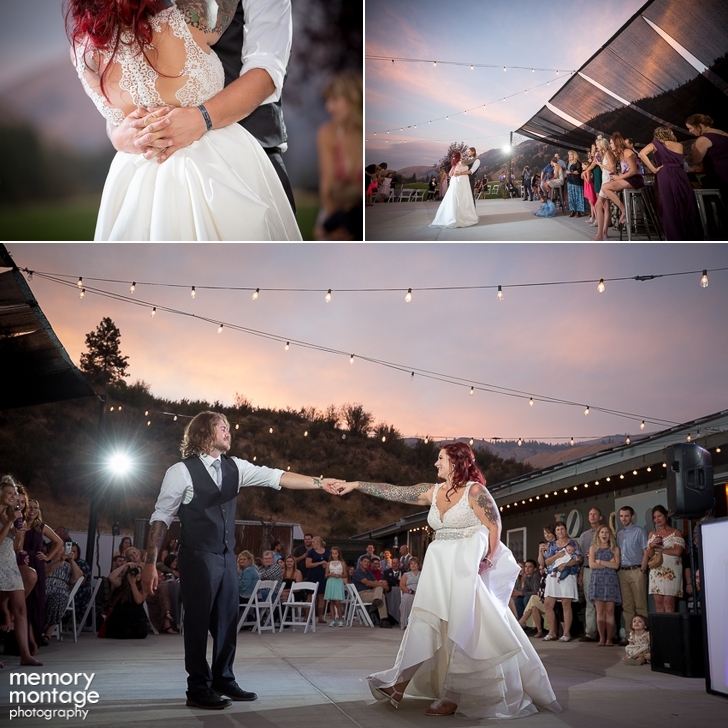 These two had every guest engaged during the ceremony as they proclaimed their handwritten vows to one another. They were so touching I wanted to share them with you above! Pretty awesome, right? 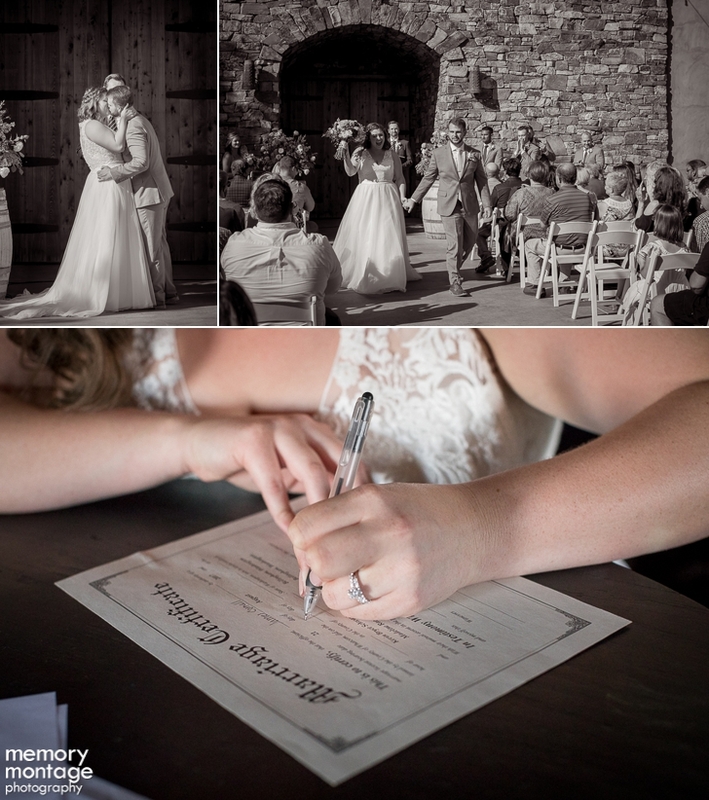 Handwritten vows can be so meaningful and touching! I am very distantly related to Paige...her Aunt and Uncle is Tavis' Aunt and Uncle, but on different sides of the family. Paige is someone that is so easy to talk to. 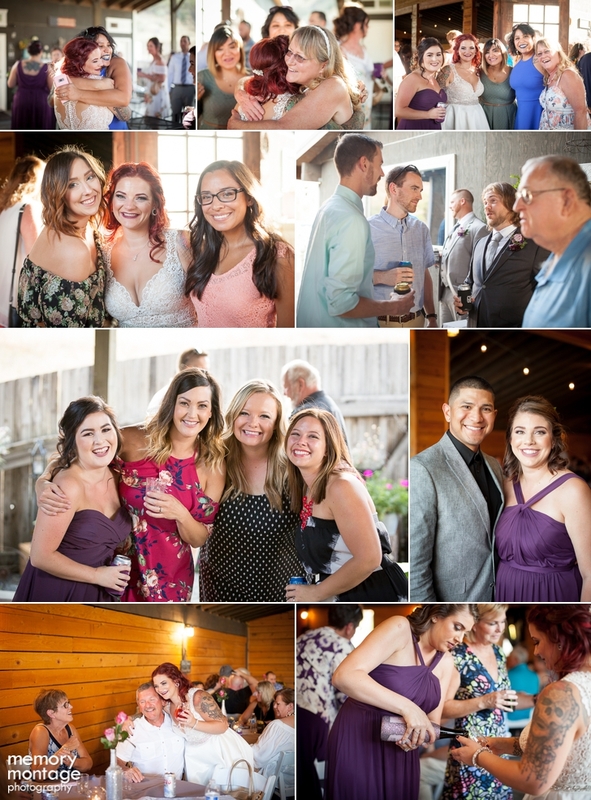 I really had to focus to get some photos taken because I feel like we could talk and talk and talk! 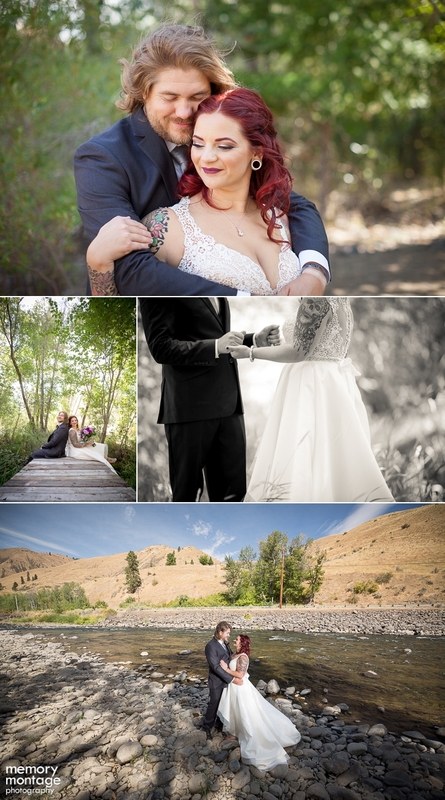 We had a lot of fun taking photos during their couples session. Paige was down for anything...would sit anywhere, etc. She even took her shoes off to walk around barefoot in the river rocks! It was pretty sweet. 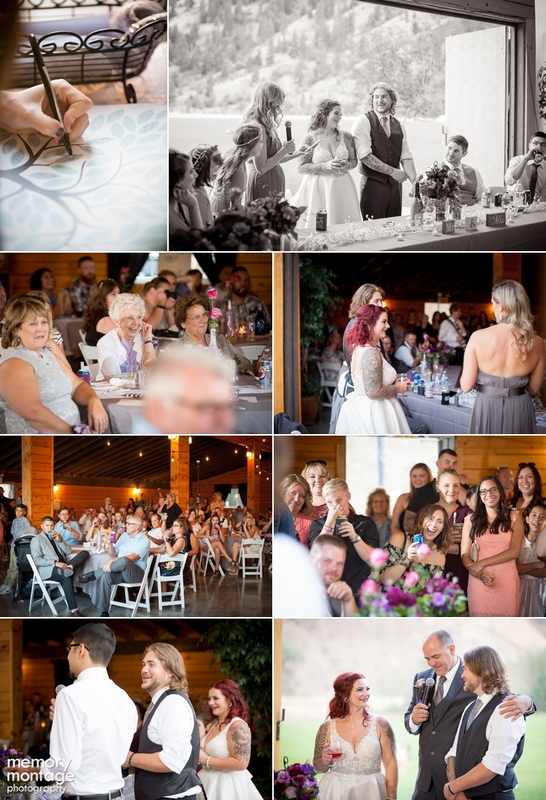 You can really learn a lot about a couple by what people say during their speeches and toasts. 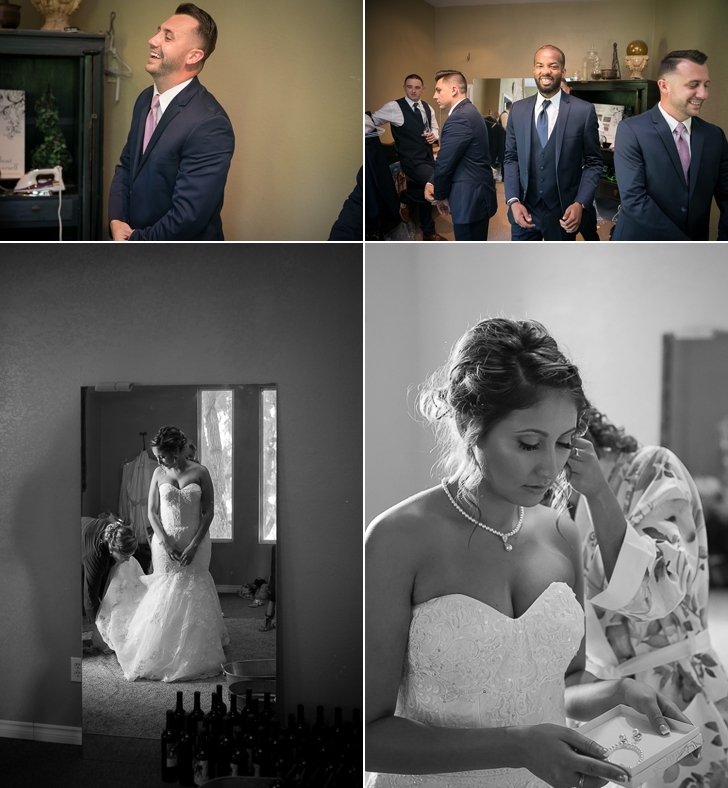 With the tears and special memories shared during the speeches, it was evident that each of these two love their friends and family deeply. 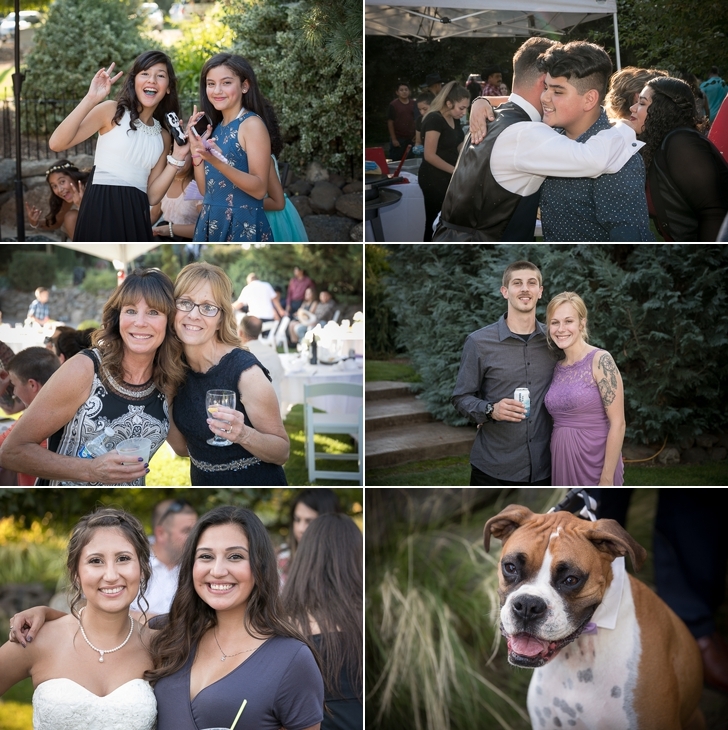 It was so fun to photograph lots of familiar faces and enjoy the day's festivities. 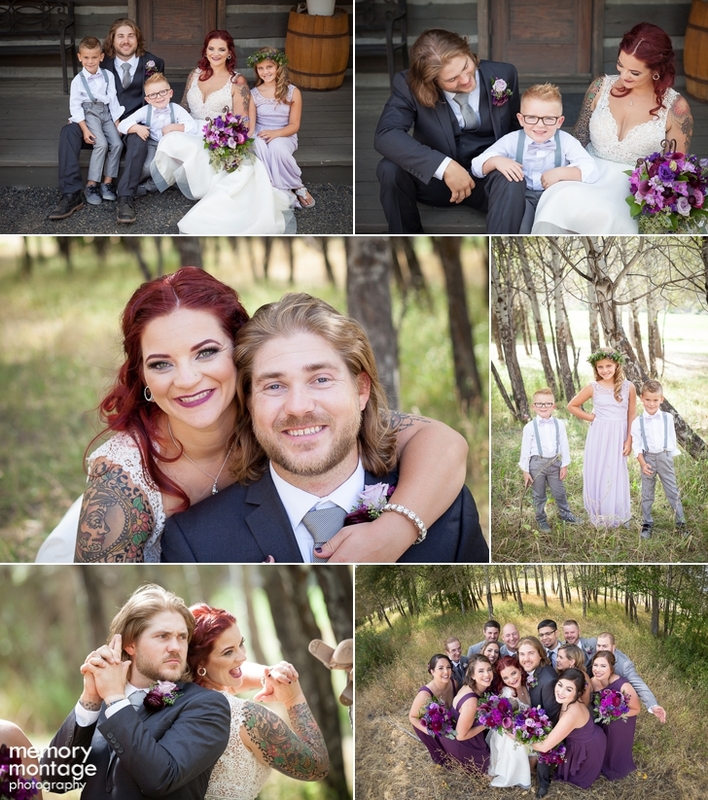 Congratulations Paige and Royal! 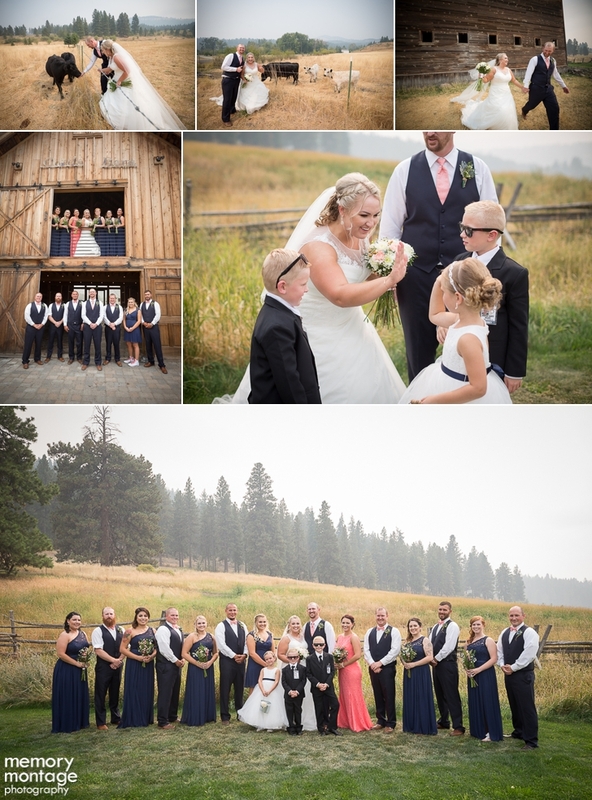 Tavis and I photographed this wedding on September 3rd at The Cattle Barn in Cle Elum. 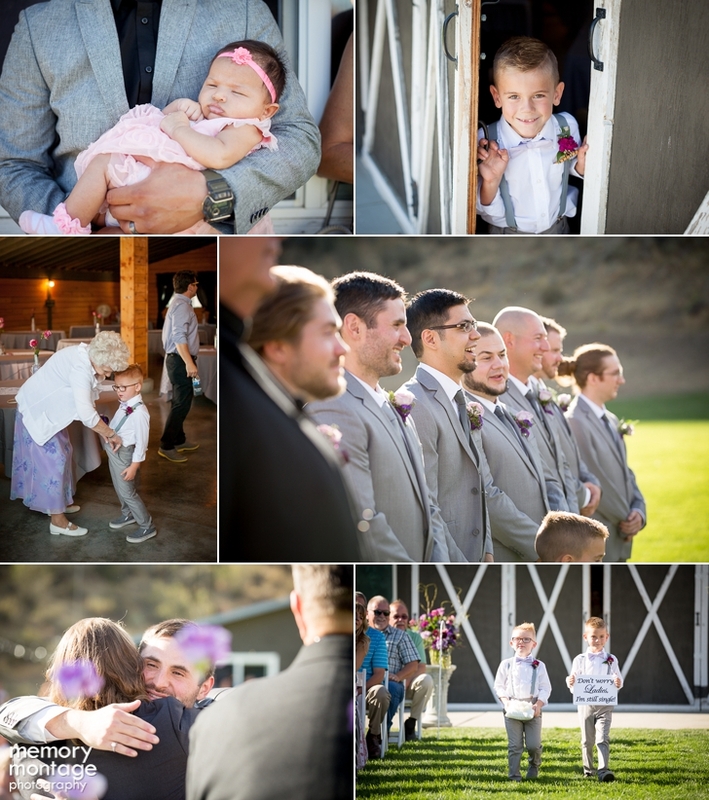 The Bride and Groom were the type of people that genuinely care not only about one another, but their family and friends as well. 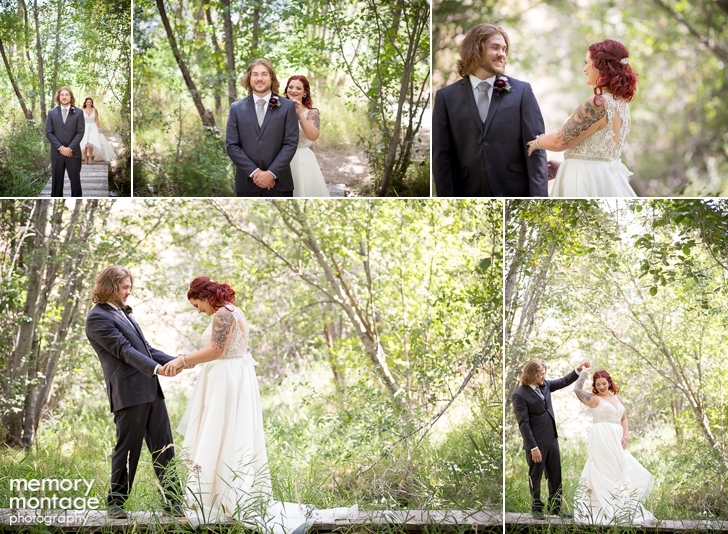 It is always a treat to see two kind souls join together as one while everyone roots them on! 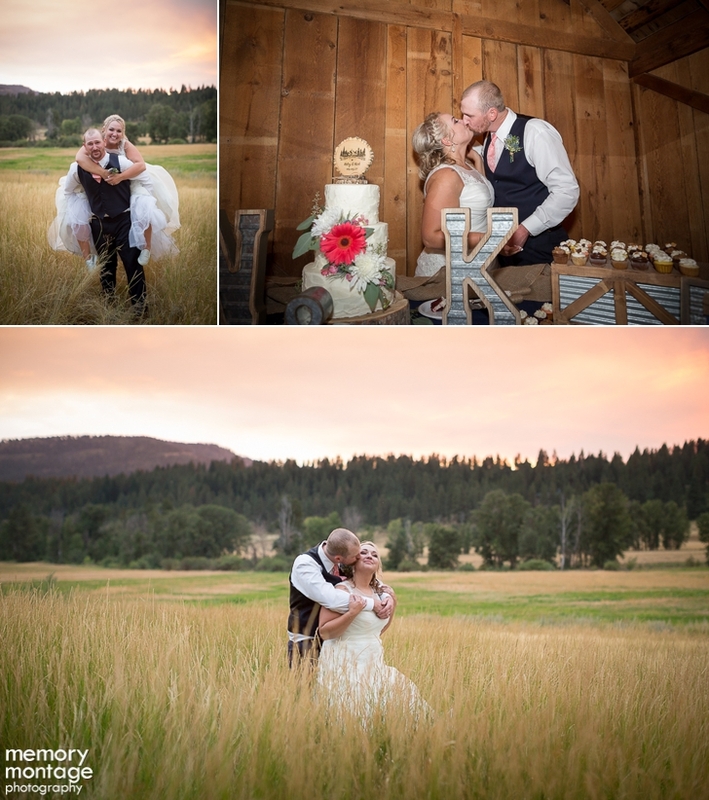 Kelcy and Nick had an entertaining night that we are thrilled to share with you! 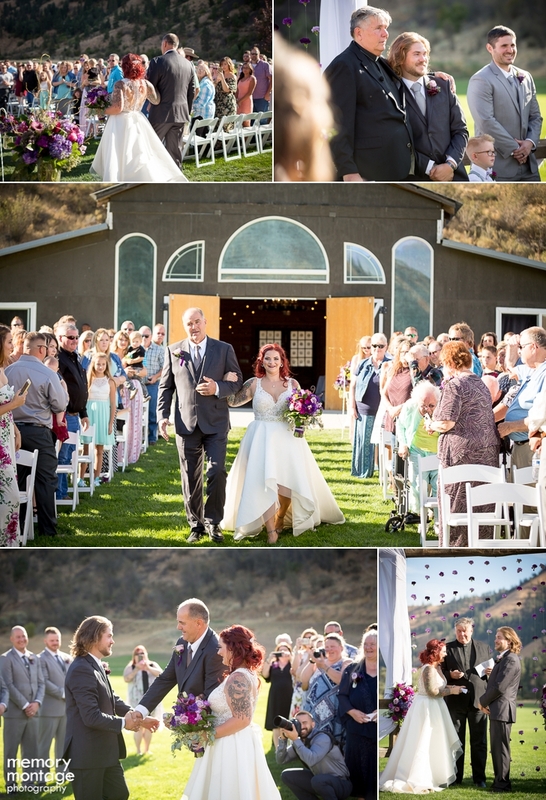 My favorite part from the day was how many times I heard Kelcy say this was the best day of her life. 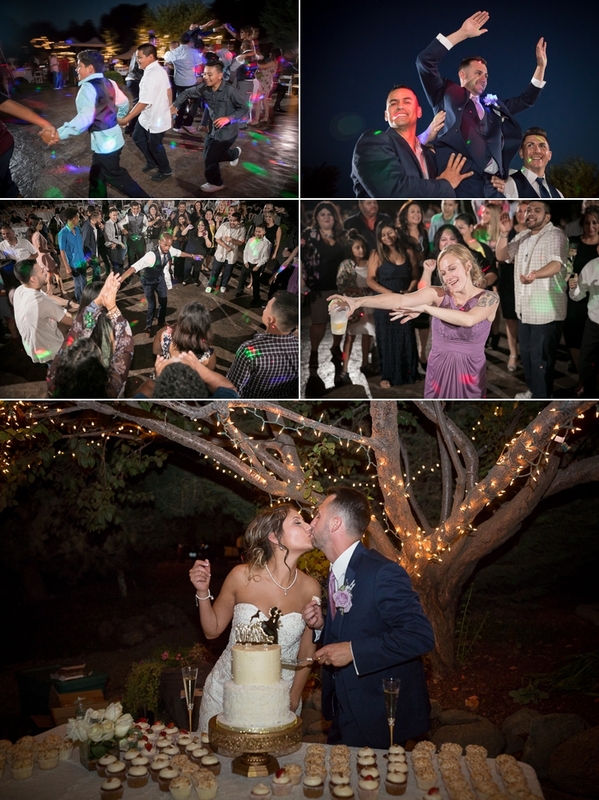 It makes my heart so happy when I see couples having that much fun! 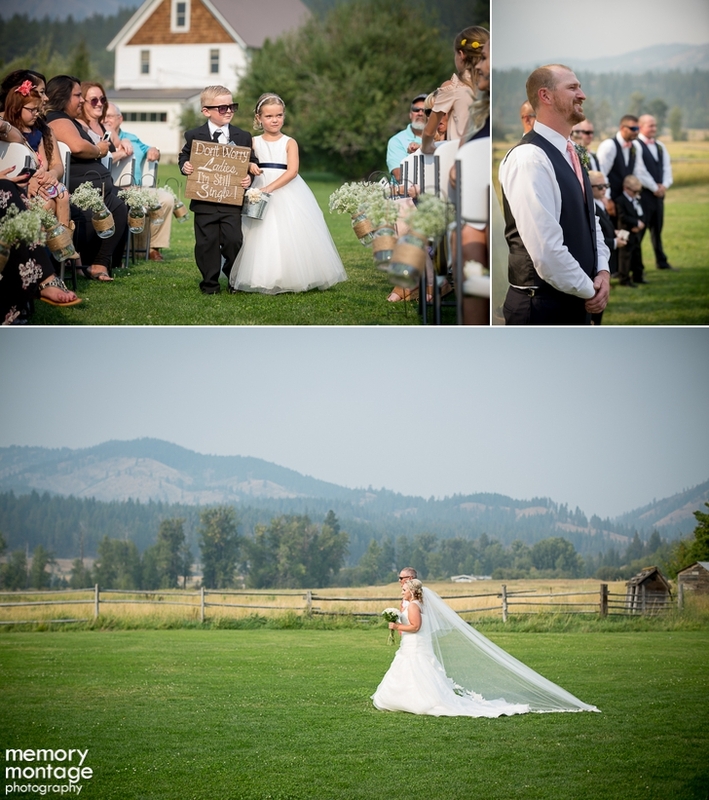 Another moment I loved was when Kelcy told us we were her first stop for vendors. 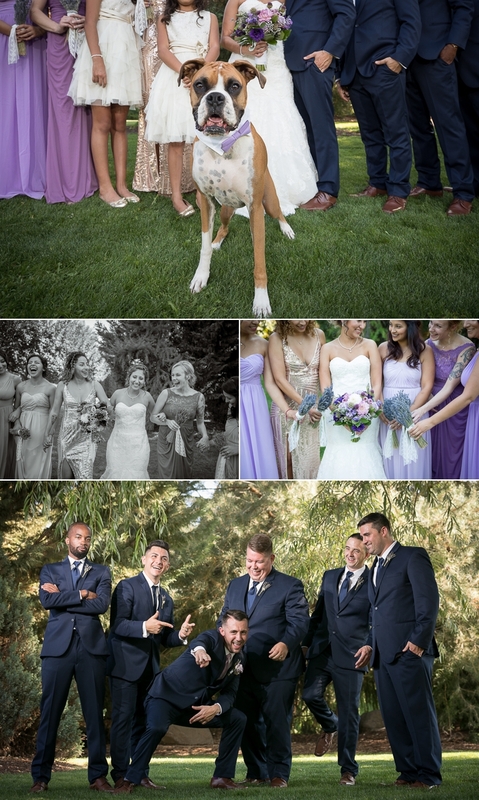 She went on to explain how excited she was to have us at her wedding. 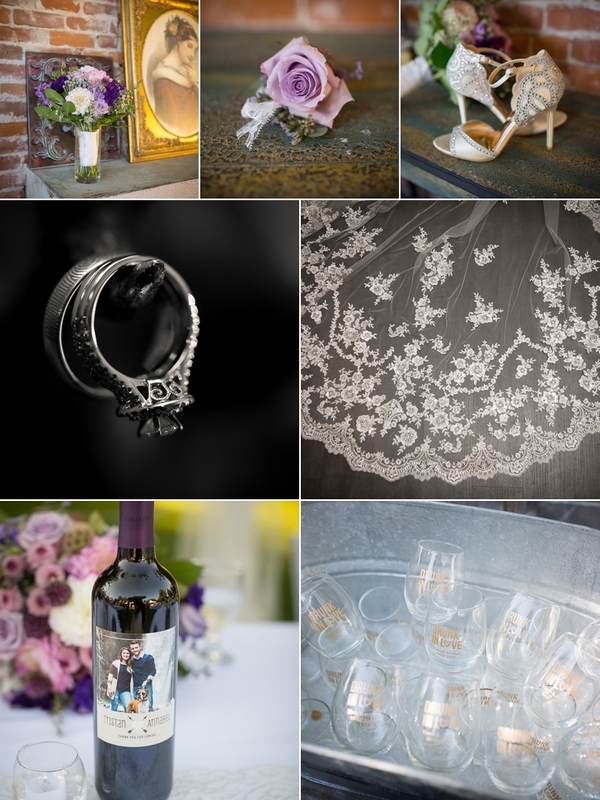 Working with couples who truly appreciate photography makes things extra meaningful for us! 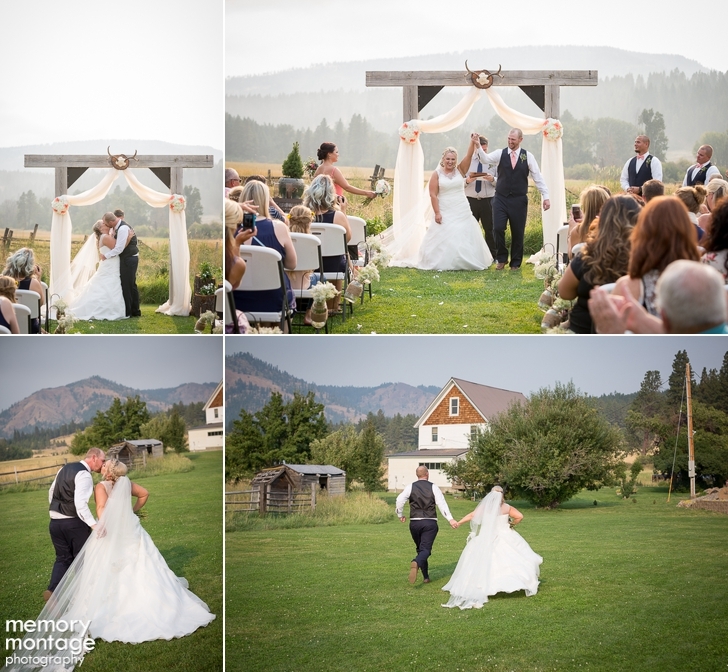 This couple loves the outdoors and hunting so this was the perfect venue for them. 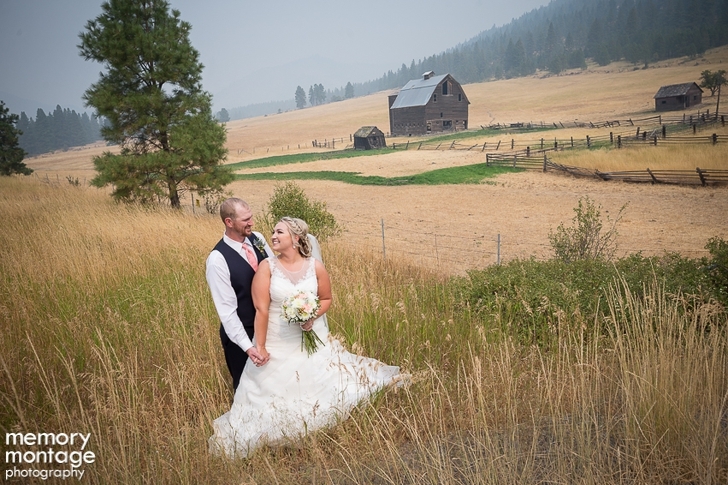 Although wildfires were burning nearby, the smoke actually created a pretty fog effect in the background! 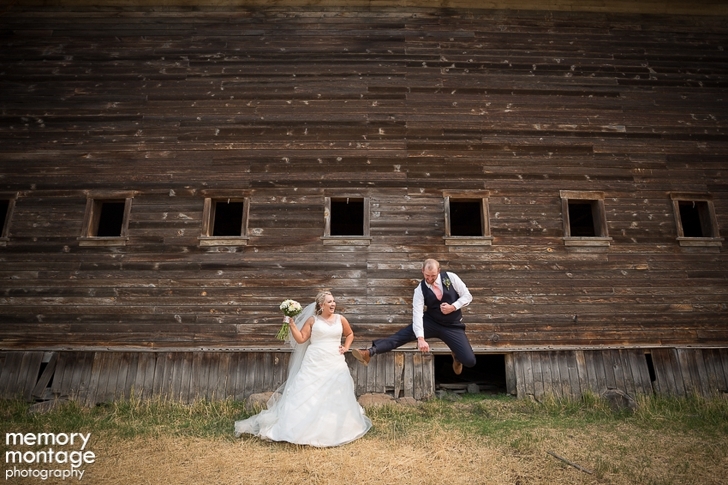 We drove up the road from the Cattle Barn to an old barn and got some photos that I am IN LOVE with! 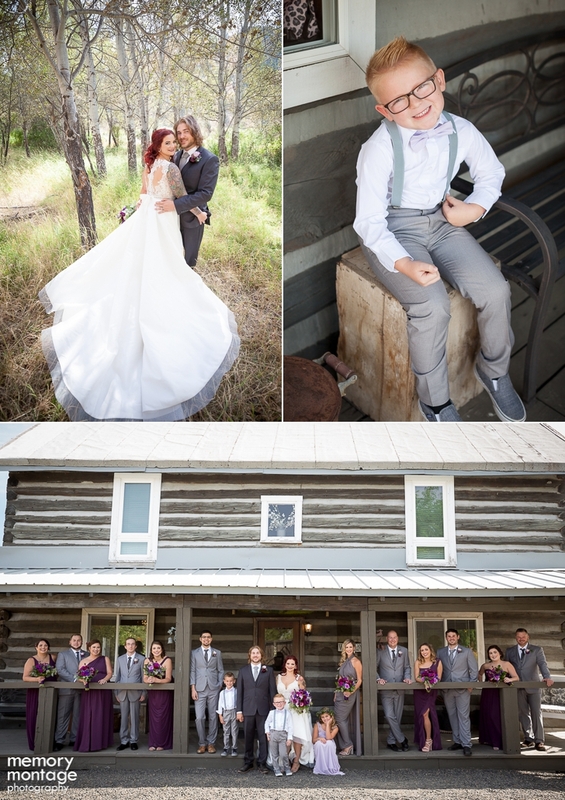 Her dress from Amy's Bridal was stunning alongside her handsome Groom. 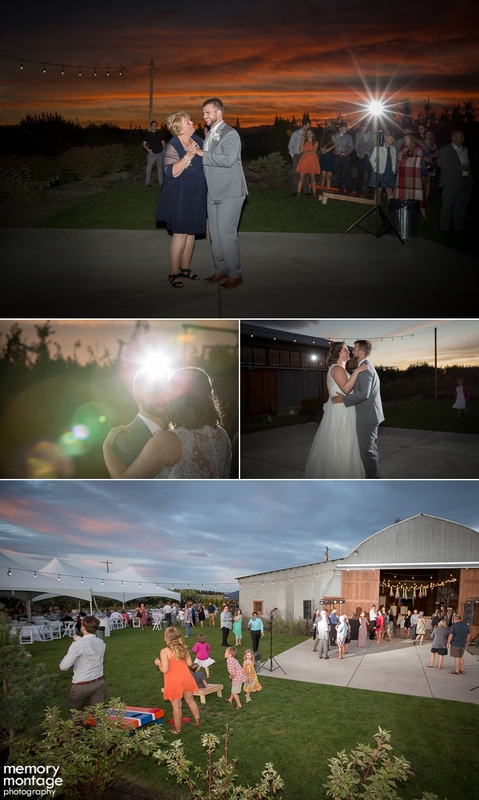 I did get shocked by an electric fence...but it was worth it for the great photos right?? Kristene's Cakes made a beautiful (and delicious) cake for the evening. Everyone loved the meal that The Grillmaster prepared too! It was a night full of tasteful food. 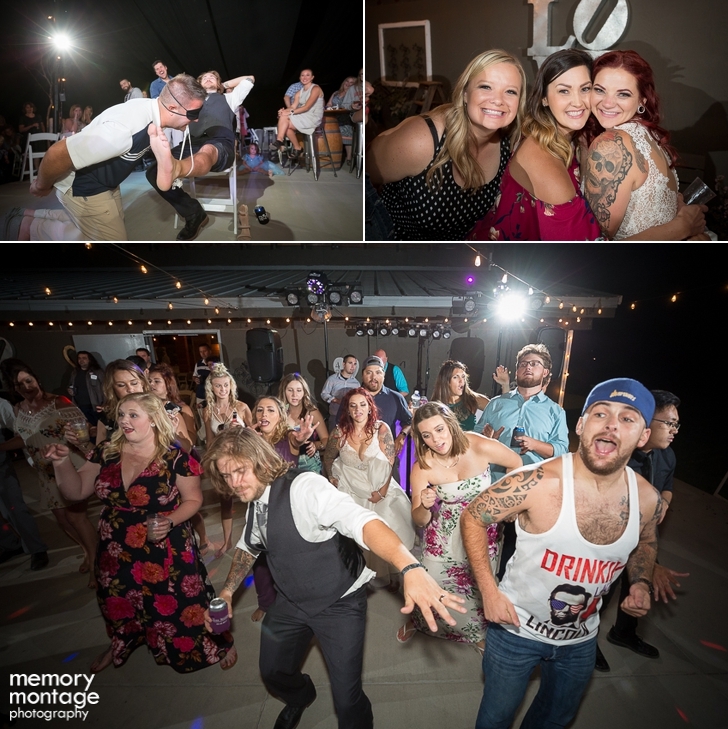 Following dinner, the crowd got up and danced their socks off thanks to Mod Jamz Entertainment! 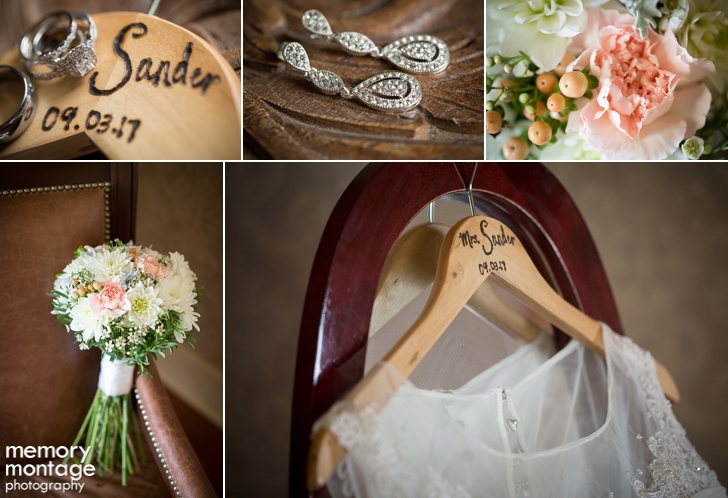 Congratulations Mr. and Mrs. Sander! 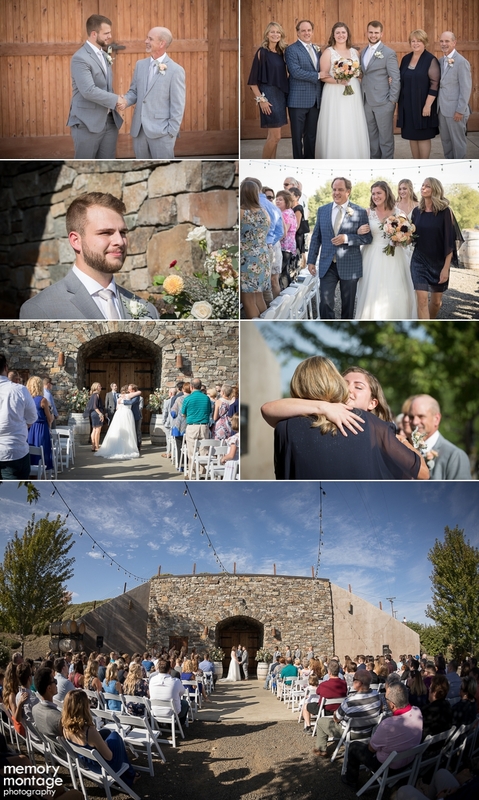 Annabel and Tristan were joined by their family and friends on September 2nd as they said "yes" to sharing their lives and future memories together. 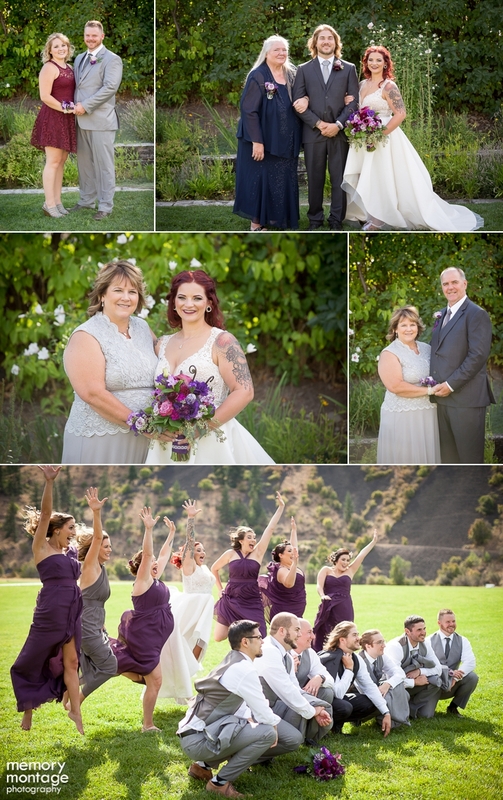 Keith and Sasha photographed this lively wedding at Le Jardin in Zillah. 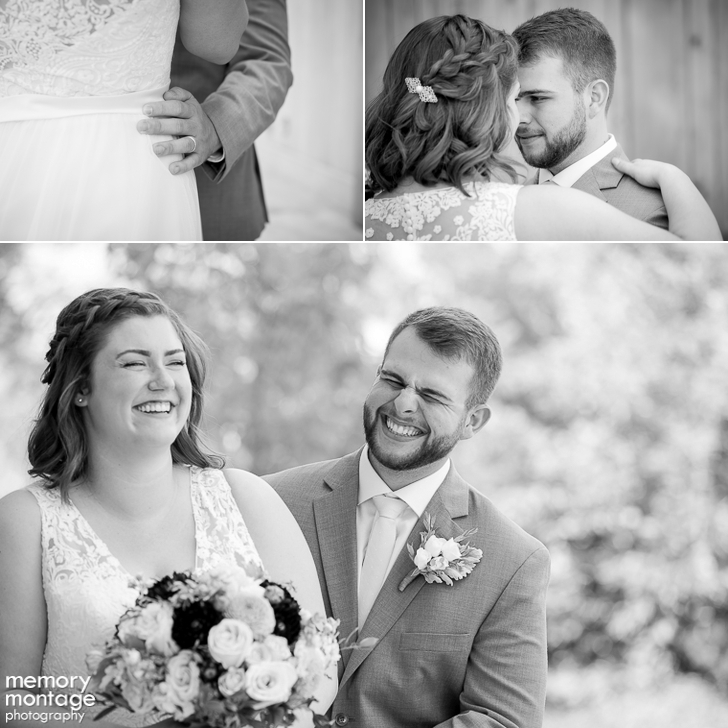 These two were full of smiles! 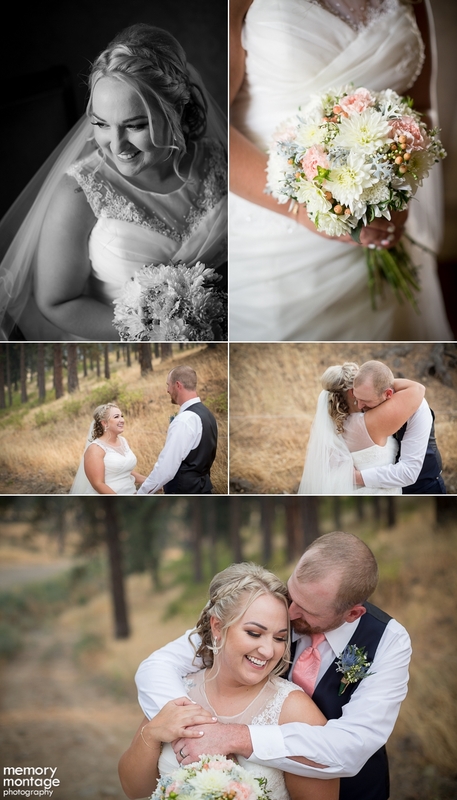 We were entertained throughout the entire day, and loved this opportunity of photographing such a charming Bride and Groom. 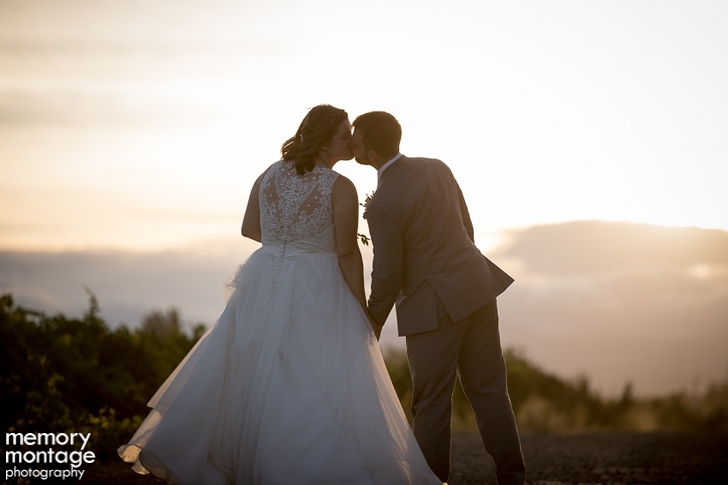 Attending Yakima Valley College was the beginning of an adventure for Annabel and Tristan. 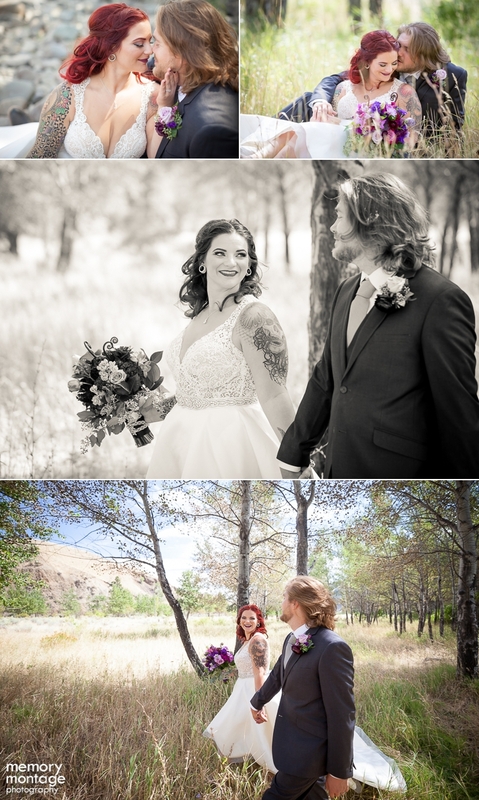 Once they met each other through school, of course dating followed. Get this - they got a tattoo on their ring finger three months into dating. That's commitment! I guess they knew it was meant to be from the start! 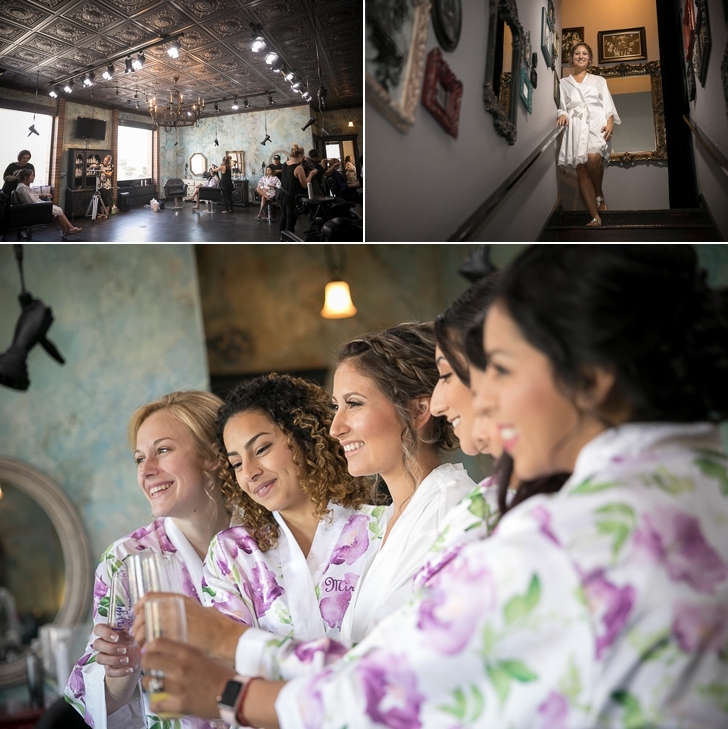 Belu Salon did a fabulous job giving Annabel dreamy bridal hair and makeup. 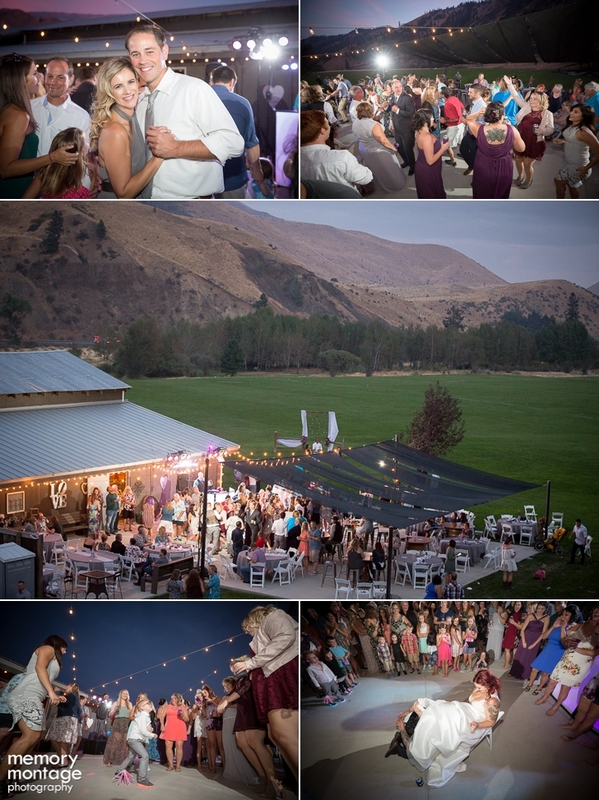 They created an engaging environment to prep for your wedding day. 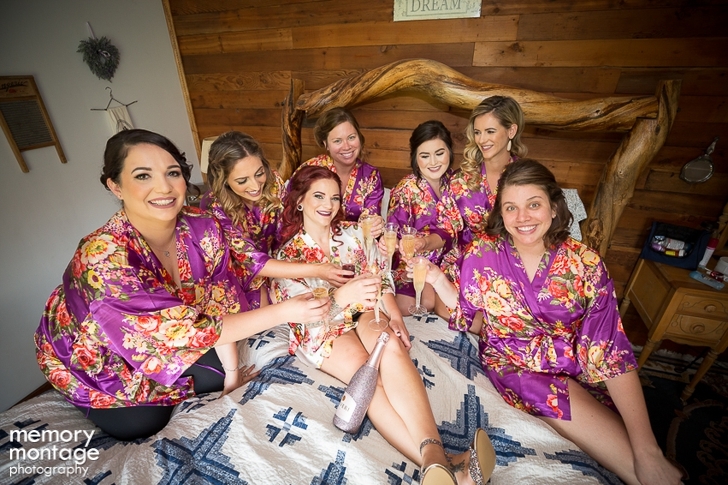 We always love when Brides choose Belu as their stylist! The ideal pair for hair and makeup, along with Kameo Flowers to craft the bouquets. This Bride was all dolled up and ready to impress her Groom :) Everyone was obsessed with Out of the Oven's bomb coconut cupcakes. They were so tasty! 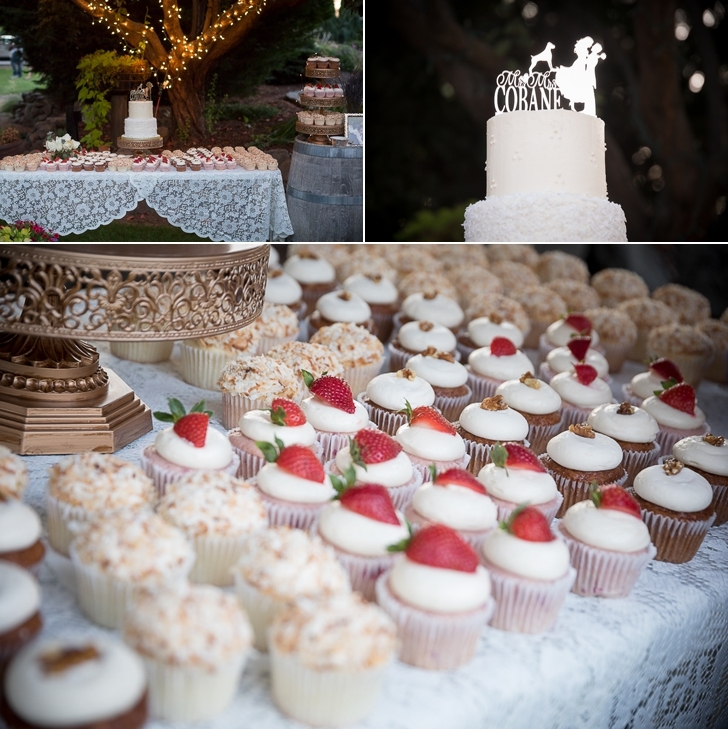 Plus coconut is the Bride's favorite...so it was the best of both worlds! Annabel and Tristan were such a loving couple and very sweet together. 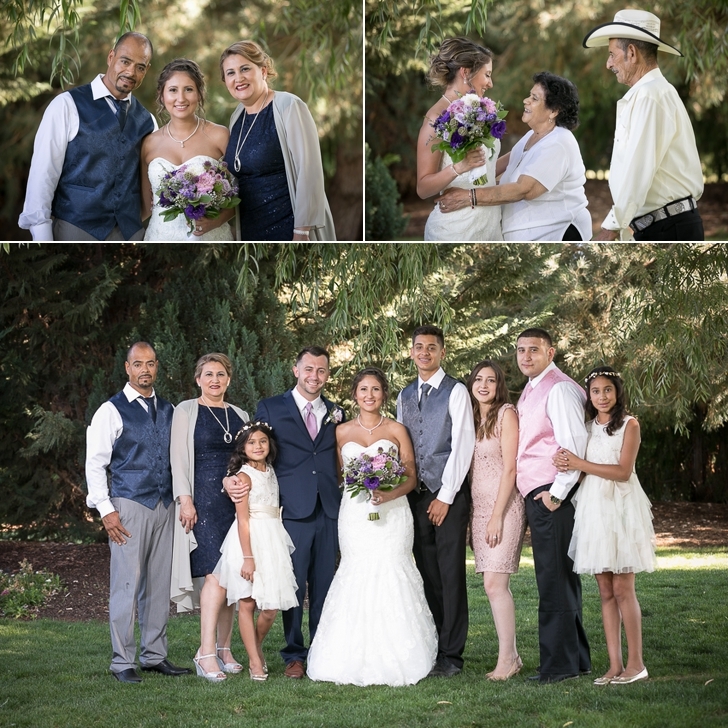 Congratulations Mr. and Mrs. Cobane!